Testing out the old vestibular system. Balance postures are hard to swallow for many because they think wobbling means you are doing the pose wrong. Wobbling means you are doing the pose right. We are synchronizing ourselves to earth’s equilibrium, just like syncing an iPod. Our foot plugs into the mat and messages transfer between you and the earth. Your body knows how to balance with the spatial awareness based on these secret, undetectable chemical messages constantly exchanging. The exchanging is why we wobble. So, on this note, wobble away in your ten second balance pose. 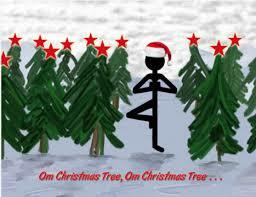 For beginner yogis I recommend Vriksanana or Tree pose. Happy Balancing!